Searching for a nice low sodium lunch, I found myself staring at Gifford's ice cream on sale for $2.99 a quart. Usually there is more to pick from, and I really had my heart set on finding their peanut butter ice cream today, but Roche Bros has given up two of Gifford's shelves to make room for Yuengling ice cream. Hmmm, alright then, let's try this flavor instead. includes a landslide of chocolate coated English toffee rubble"
Ok, let me start this quick reviewing by saying I really don't like this ice cream, I don't like it at all. It's a big fail for me. From this boring opening shot of an ice cream that looks vanilla but should be toffee colored to my final scoop, it's one disappointment after another. It starts with the base that is like a toffee zephyr of flavoring... aka it's barely there. Boooooo. Does it have a toffee rubble? Yeah, I'd say these huge chunks count, but it's not the kind of toffee I like, it's not even close. You know how some toffee can be super potent and have almost an alcoholic quality to it? Yeah, that's this toffee, and a little goes a long way. It's that toffee taste that won't leave you. I wish I knew the words for it, but I hate toffee like this. Bleck. I got through about a serving or so and that was that. I should have went to Wendy's instead. Why mix such a boring base with such a potent mix-in? Well, saying it like that kind of makes sense I guess, but bring the base up and the mix-ins down please. Oh, man, spoons down on this one. I'm not sure if I'm going to second scoop this one or just toss it in the trash. On Second Scoop: Ok, I forced myself to scoop this one again because I hate wasting. I took one bite and was yet again bowled over by the wicked flavor of the toffee. Geez, it's just so potent. 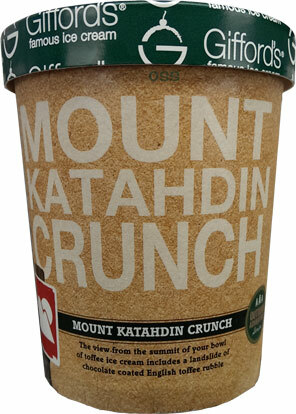 I wound up burying this serving in a mountain of granola... I could still taste the toffee.... but it was more balanced. On Third and Fourth Scoops: I wound up doing the granola thing again on the final scoopings, and when I say I used a lot of granola, I mean A LOT. We're talking like a 1:1 ratio between ice cream and granola, and I have to admit, it was kind of fun. I've toyed with granola on the Breakfast Sundae project, but it really is the only thing saving this quart at the moment. So I'm not wasting and I'm getting lots of protein, it's a win win. Dubba's Note: Gifford's was nice enough to contact me and plans on investigating my claims. You know I'm a huge fan of companies that stand behind their product like that. 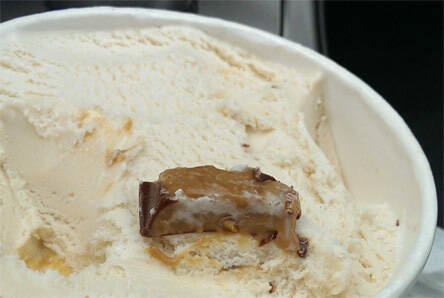 Maybe ice cream is weakly toffee flavored because the toffee was potent enough? I'm guessing that this toffee is nothing akin to Heath bars. 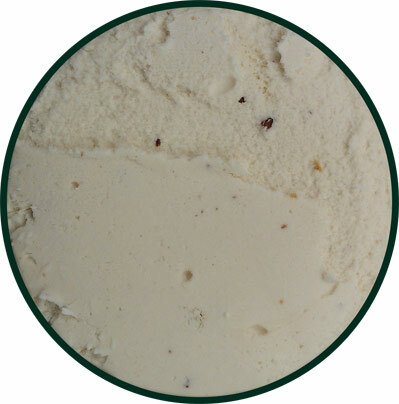 Such a shame that this ice cream is disappointing because toffee is one of my favorite candy mix-ins. ha, yeah, that's how I tried justifying it at the end of the review, but they are too far apart. I like heath bars too (and heath blizzards), but this is just weird.